Every once in awhile, someone comes up with an idea that is just so awesome that you have to share it with everyone you know. The crew at lifechurch.tv created a website called http://www.youversion.com that is pure genius. It is a central page for about 30 English Bible versions as well as a number of other languages. 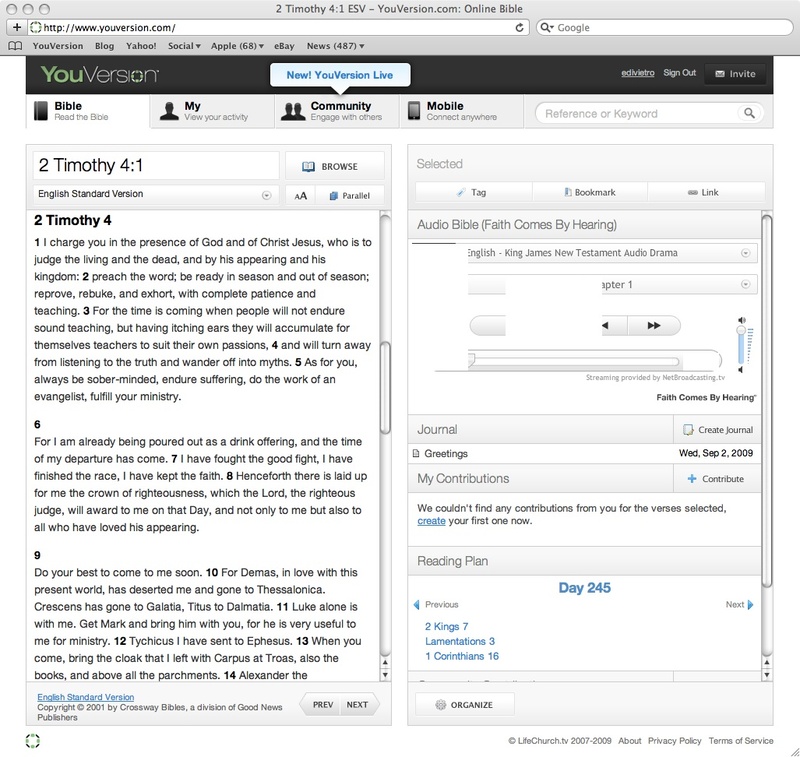 It has several audio Bibles, online journaling and a community feature that allows you to interact with other Bible readers. Check it out. You’ll love it. Well I was jsut checking out the audio section and am now totally impressed because they do have Guarani. The national indian language of Paraguay!!!!! I have studied it a little but I will definately use it to hear the Guarani spoken.